Kleenheat was excited to support the Shinju Matsuri festival from 25 August to 2 September for the third year running – a celebration of the Broome’s rich history and diverse culture. Shinju Matsuri (Japanese for “Festival of the Pearl”) began in 1971 as means to help foster community spirit and celebrate Broome’s diverse culture – drawing on the area’s multicultural history as a world-renowned producer of South Sea Pearls. Today, the annual festival is a delight for the senses – a whirlwind of colour, sound, taste and smells – and an opportunity for the local community to share their home with the world. We had a blast across nine days of spectacular exhibitions and culinary delights at Broome’s biggest and brightest cultural celebration. To help celebrate this year’s festival, we gave our Facebook followers the chance to win two double passes to Shinju Matsuri’s sold out and one of a kind Sunset Long Table dinner on the famous Cable Beach. The winners and their guests enjoyed a gourmet four course menu designed by celebrity chefs Adam Liaw and Marion Grasby, while being serenaded by the West Australian Opera – all set against a magical sunset backdrop. Truly a night to remember! This year, Kleenheat was proud to be the official Cooking Partner of the inaugural Pearl Harvest Yum Cha – hosted by celebrity chef Adam Liaw. 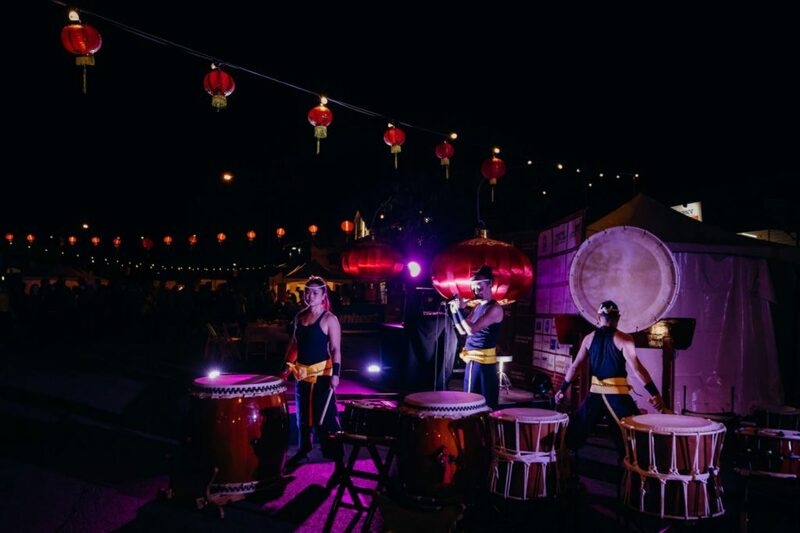 For one night only, Broome’s China Town came alive with traditional food markets showcasing the finest Chinese cuisine from a collaboration of talented local chefs. Kleenheat customers were given a chance to win tickets and two lucky winners joined other guests in dining on a selection of dumplings, baos, wok noodle boxes and Chinese barbecue delights while live tunes filled the air. The popular Floating Lantern Matsuri also returned this year with Kleenheat customers enjoying an exclusive 15% discount on tickets. Plus, one lucky Kleenheat customers won a VIP hospitality package to view the lanterns in style. The popular event sees visitors write messages on a lantern – in memory of a lost loved one, a wish, or general words of encouragement – and send it off peaceful journey on the evening tide. 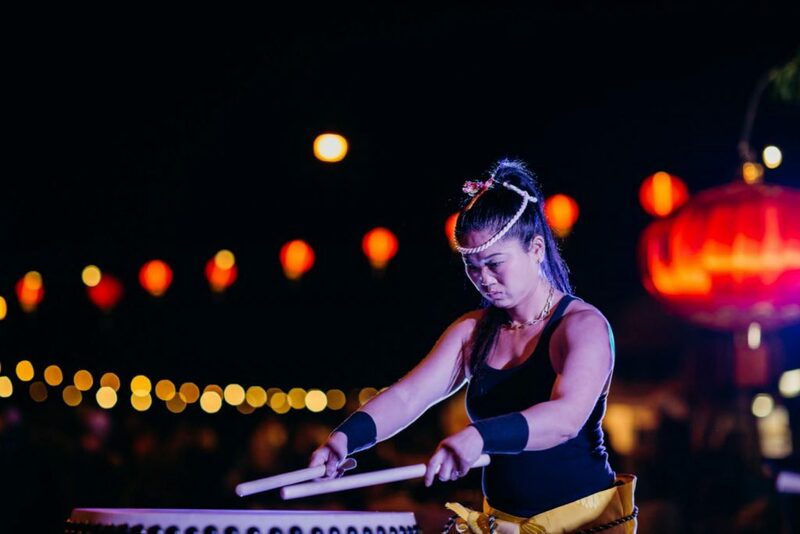 Until next year, Shinju Matsuri has left behind some long-lasting memories, with the promise that it will return to capture the hearts and minds of those living in and travelling through Broome. As a WA born and bred energy supplier, Kleenheat’s proud to bring big value to local homes and businesses – including LPG to more places more often across Western Australia and the Northern Territory. We were delighted to again support Shinju Matsuri in 2018, helping celebrate everything wonderful about Broome’s location, people, culture and food. Get the lowdown on the highlights of the weekend – courtesy of Anja! Live blog from the 2015 Good Food and Wine Show!